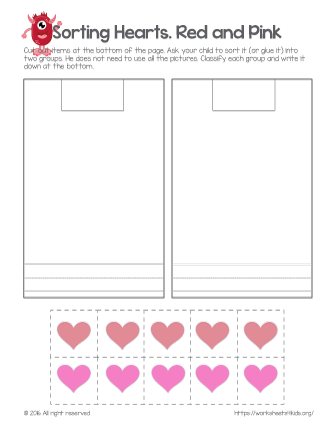 Download the worksheet and cut out the hearts at the bottom. Have your child sort it into two groups and glue. 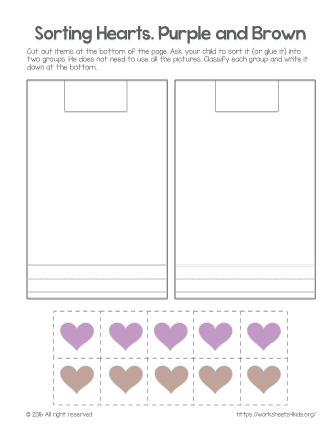 Heart sorting activities are great to practice color recognition skills on Valentine Day. Fill your class with hearts. 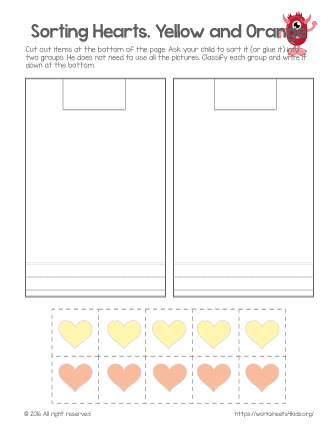 Free color sorting printable is fast to download and easy to use. Have your child sort them into two groups. 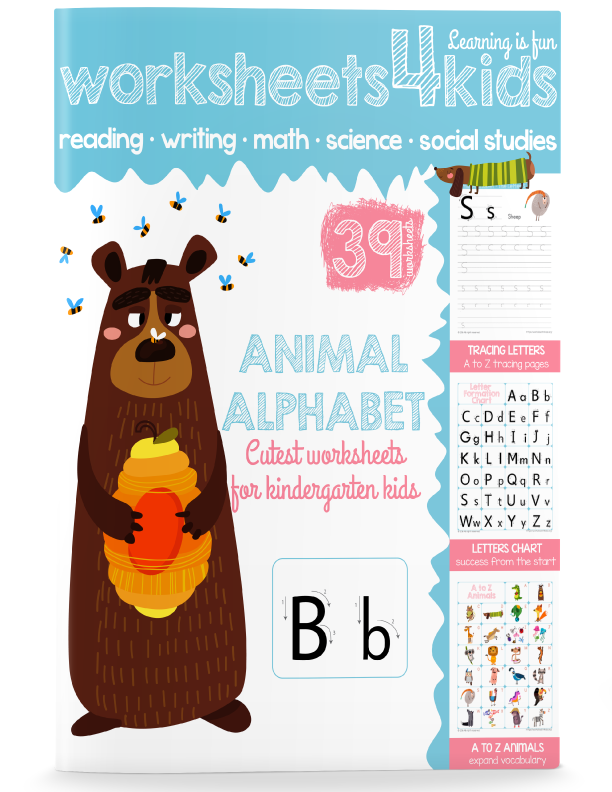 With this worksheet, kindergarten students practice color recognition skills. 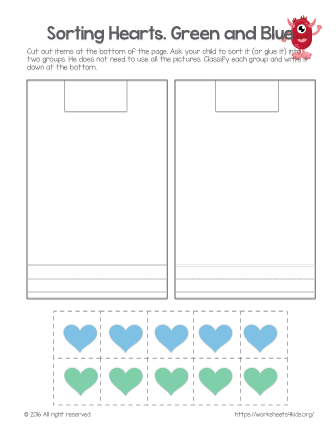 Green and blue hearts sorting activity.